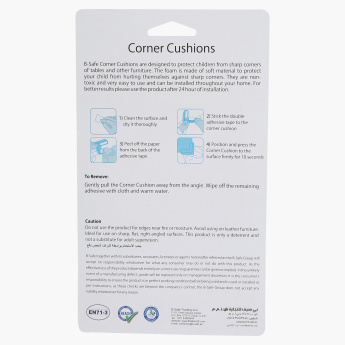 B-Safe Corner Cushion - Set of 4 | White | Protect your little one from danger in the household. 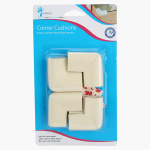 Make your house babyproof with this set of four U-shaped corner cushions. Made from a sturdy material, these easy-to-use cushions effectively protect your tiny tot from sharp edges.